What's the difference between copying and adding new? "Add new competition" simple creates a new competition record from scracth and sets the "current competition" as parent to the new competition. For example when clicking add new competition under (slightly intented) Competition 3 would create a new "round" that has Competition 3 as parent. And when clicking the lower most Add new button, then "tour" would be used as parent. "Copy new" takes all the available settings and related data from parent or sibbling when creating a new round. This means for example using the same course and same players. Copying works differently when current competition is the only competion in current structure. Or if structure already has multiple competitions/rounds in it. Copy new when only one competion (no parent): This is create a new parent competition on top of the current and make the current competition as "1. round". And create a copy of the current competition as "2. round". After copying you now have three competitions: one parent and two child records under it. Copy new when competition already has parent: This will simply create a copy of the current competition on the same level as the current competition. For example if you have Tour --> Competition 1 --> Round 1. Copying "Competition 1" would create new record on the same level as Competition 1. And copying "Round 1" would create a new round under Competition 1 after Round 1. Systems tries to figure out what you're trying to do and gives a default name for the new competition accordingly. But for more complex competitions you should always check the name and schedule. Both options will get some settings from it's parent like classes and "weekly tables" and other points systems. When to create new rounds? Before hand or after previous rounds? This depends and is also a matter of preference. But both are possible options. After getting familiar with the system it doesn't really matter, but in the beginning when organizing official competitions it's better to play it safe and create everything before hand. 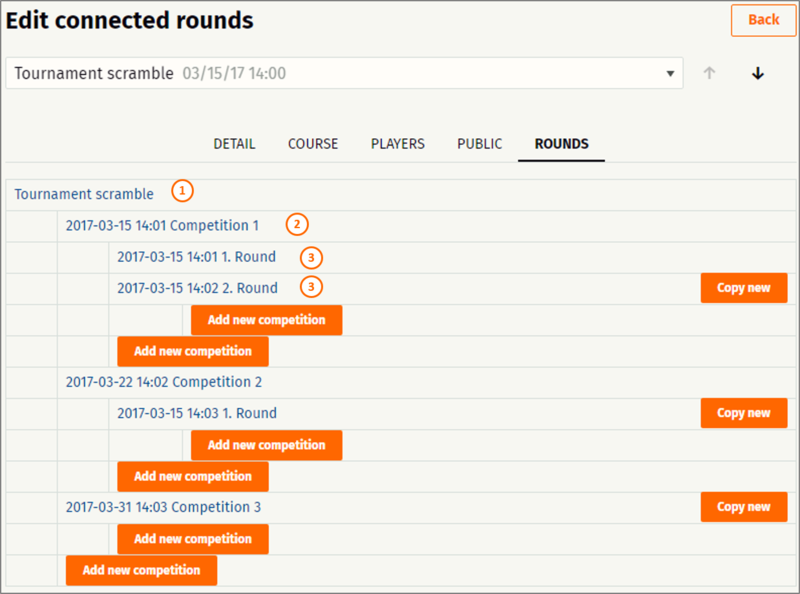 When creating all rounds beforehand, you might want to know more about managing players and generating groups. Make a new round? 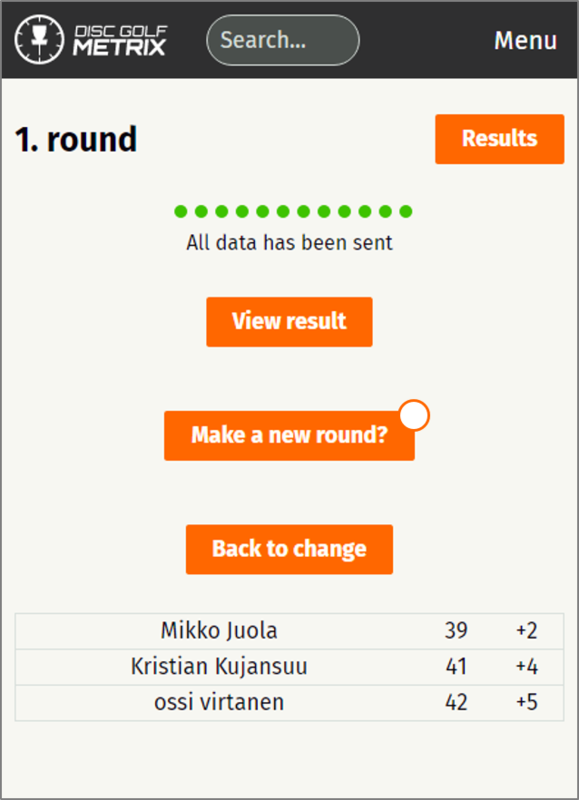 button will take you directly to "Edit competition" --> "Rounds" page. And the benefit of copying a completed round at this point is that you get the same course, players and classes by default.